Towbar Accessories for your vehicle! Everything you think you need, we probably have 😊! 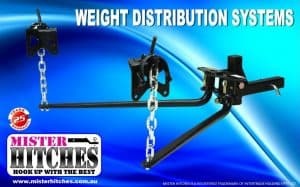 We stock the full range of Mister Hitches towbar accessories like Heavy Duty [Class 4 or Hitch style] Towbar Tongues to help you level your load, or replace that missing Towbar Tongue that you thought you had. 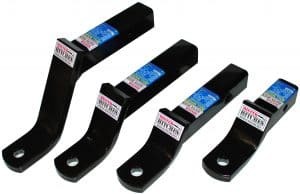 We also have a huge range of towing accessories like Weight Distribution Systems, Special Purpose Hitches, Towing Mirrors and Sway Control Devices. You can find all that you need with us. If we don’t have it, we can find it for you! Why would anyone need to find another towbar tongue? You’d be surprised! “Got stolen”, “old owner didn’t sell it with the vehicle”, “too high/low for my trailer/camper”, to name a few reasons. We also stock ‘treg hitch’ couplings, Pintle Hooks, Couple Mates, Jockey Wheels, Tyre Pressure gauges and so much more. Trailer to high/low – not a problem! Need a different type of towing attachment – easy to solve. Need to know your ball weight – we’ve got the answer! 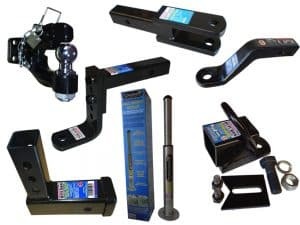 We’ve got the towing solution to suit you – come and visit us for all your towbar accessories! By the way, what other accessories are you fitting to your car? Did you know that we now also do “window tinting”? Give us a call and lets have a chat about what you need to “dress up your new vehicle”! right here in Perth, WA!